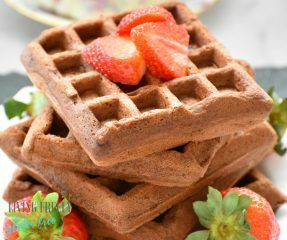 Paleo Chocolate Waffles are literally the best way you could ever start your day, or end your day. 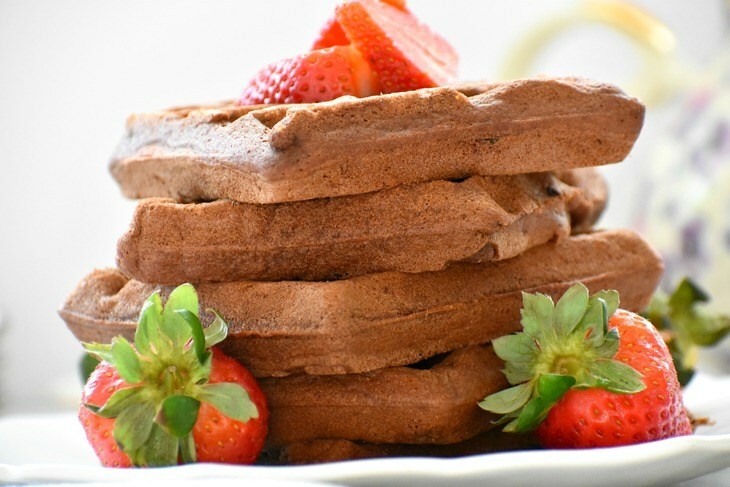 They are so decadent that they can be eaten as dessert with ice cream on top, but they are healthy enough to start your day off right with some sliced fruit and maple syrup. 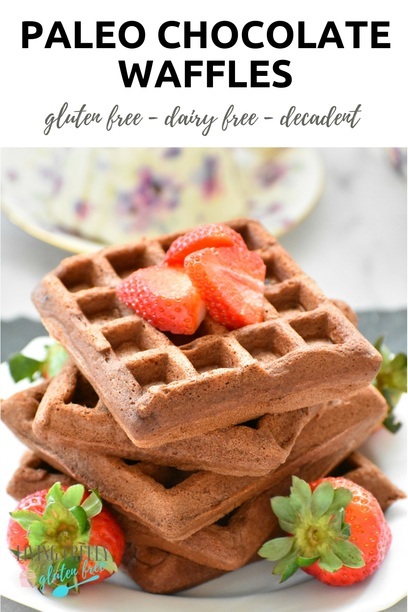 I started making Paleo Chocolate Waffles when I began to reduce grains in our diet and I wanted something that the kids would eat with me. This was a winner, let me tell you. I make a huge a batch of them and freeze half. You can stick them in the toaster to reheat and they are delicious! 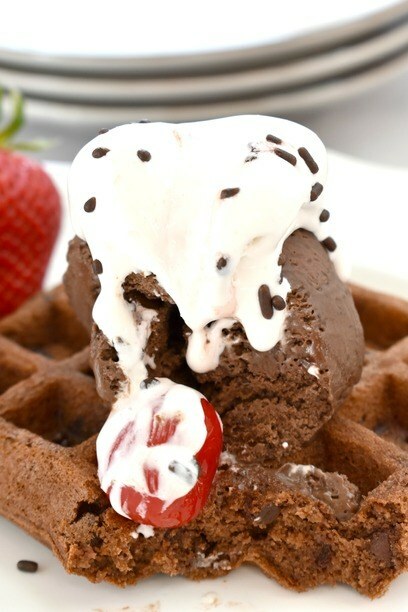 How do I freeze Paleo Chocolate Waffles? Once they have cooled you will wrap each waffle individually in plastic wrap and then stick them all inside of a freezer Ziploc. Freeze them and then warm them in the toaster when you are ready to enjoy them. Paleo is a healthy diet rich in protein and healthy fats. It is free of grains, dairy, legumes, sugar, and harmful oils. Since these chocolate waffles are paleo, they are also gluten free and dairy free. 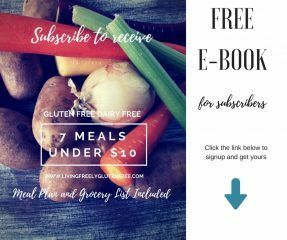 I have chosen to move my diet in the paleo direction because it reduces the inflammation in my body and keeps me energetic and feeling my best. 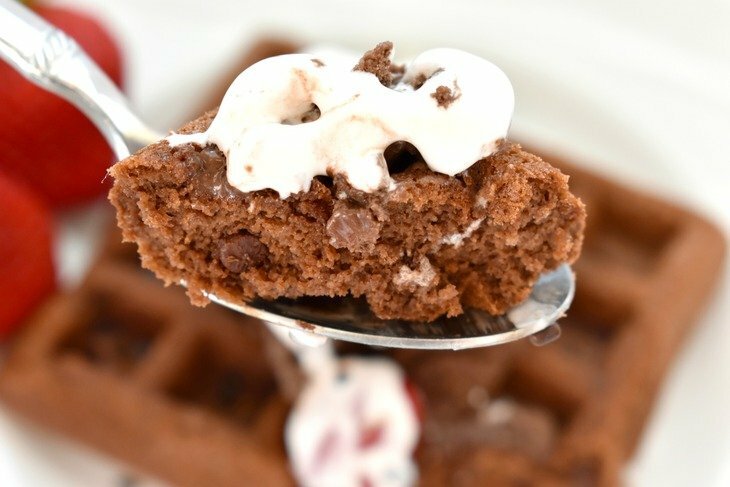 How do I make these Paleo Chocolate Waffles? You will start by mixing the dry ingredients in a bowl. Add the eggs, coconut milk. and vanilla. Mix until it is all well blended. Add the melted coconut oil and stir until it is blended into the batter. Add the cacao nibs last. You will then cook according to your waffle makers directions. I spray the waffle trays with avocado oil and add 1/4 cup of batter. Close the lid. My waffle maker takes about 3 minutes to cook. That is it! They are so incredibly simple and decadent. I mean who doesn’t want chocolate for breakfast? You and the kiddos are going to love this recipe. Enjoy! 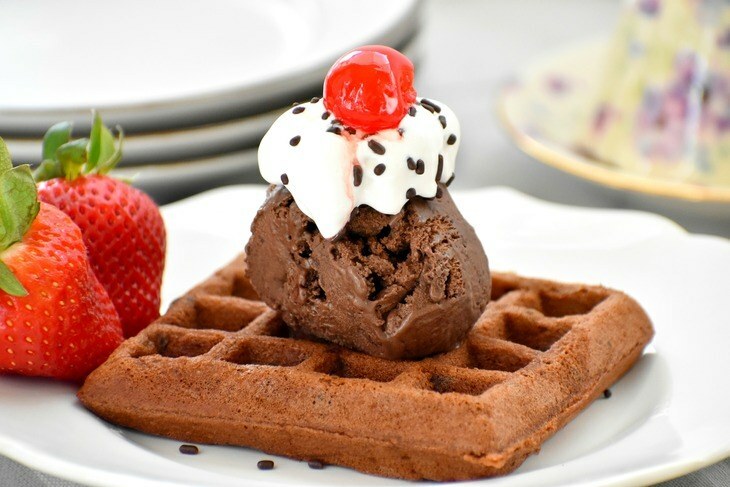 This easy to make recipe makes most waffles with the perfect crust. They are healthy and taste like dessert. In a bowl, blend the flour, coconut sugar, cocoa powder, baking powder, and flax. Add the eggs, coconut milk, and vanilla. Mix until it is well blended. Add the coconut oil and stir until blended into the batter. Add cacao nibs last and stir well. Cook according to your waffle makers directions. 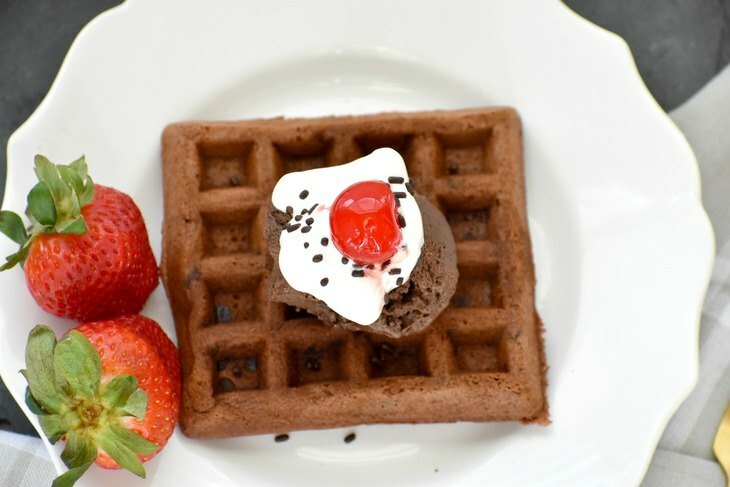 I spray the waffles maker with avocado oil spray and add 1/4 cup of batter for each waffle. My waffle maker takes about 3 minutes to cook.